Huge thanks to everyone who serves at FAC! 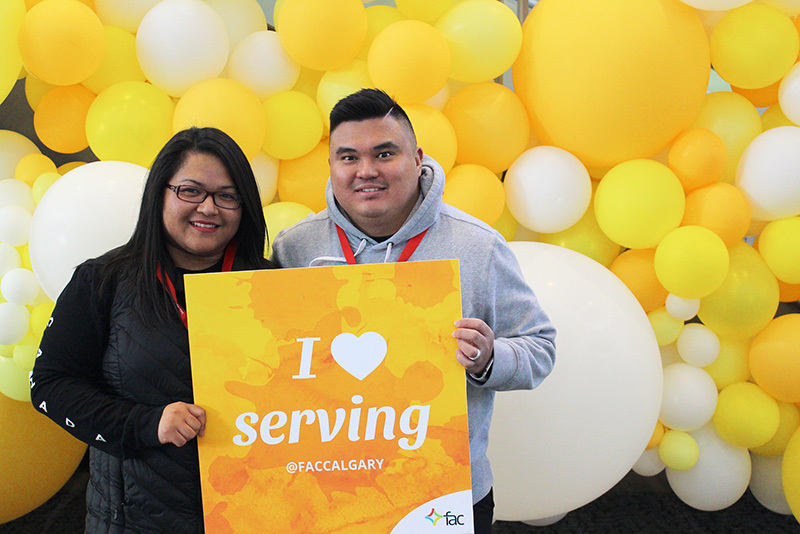 Check out all the balloon wall photos from Volunteer Appreciation weekend (March 30/31, 2019) @faccalgary on Facebook. Complete this free online S.H.A.P.E. Test to discover how God has uniquely SHAPED you to serve others using your gifts, talents and abilities. At the end, it’ll ask you to include the email address of your church leader to share your results; put in: shape@faccalgary.com. Together, we’ll go over your S.H.A.P.E. results to help you discover how God has gifted to you serve others. I give consent for my contact information to be shared for ministry purposes. To serve is to give your time to God and serve other people - helping others in a way that leads them to Christ and creates a better relationship with Him.